First trailer of 'Pokemon: Mewtwo Strikes Back Evolution' released. Pokemon is about to have one of its biggest years to date. Not only will the franchise get its own live-action take this summer, but a new game and anime film are on the way. And, thanks to a new trailer, fans have their first full look at Pokemon: Mewtwo Strikes Back Evolution. Today, a brand-new trailer for the Pokemonventure went live. The trailer was posted on the brand’s official Japanese Youtube page, and it can be seen in all its 3DCG animated glory above. So, if you are ready to see Pokemon live never before, then this is the movie for you. The film appears to be almost an exact 1:1 adaptation of the first Pokemon movie. The original film went live back in the 1990s and introduced the world to Mew and Mewtwo. The film follows Ash Ketchum, Misty, and Brock as they are invited to a trainer gathering on a remote island. However, it turns out the event was made up by Mewtwo, and the Psychic-type tries to liberate his fellow Pokemon from their trainers. As you can see above, the trainer gives a new take on Pokemon with its 3DCG aesthetic. 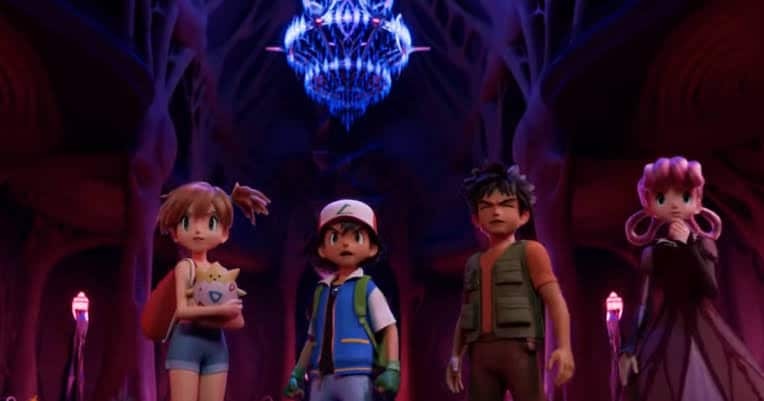 The entire film will be done with such rendering, leaving some fans to question The Pokemon Company’s choice to stray from 2D animation techniques. However, plenty are interested in seeing how this style works overall, and it does seem like Pikachu suits the animation very well. Pokemon: Mewtwo Strikes Back Evolution will be released on July 12 in Japan; No word has been given about a U.S. release date or theatrical run as of yet. It will be directed by Kunihiko Yuyama and Motonari Sakakibara, with a screenplay written by Takeshi Shudo.